Home > Blog > It’s official, the Paddle Wheel Murray River Expedition has started! Today was forecast to be 36 degrees, no matter how you say it, its bloody hot! With that in mind, we needed to get away early. For Tiy and me, that meant a 4am start with the rest of the team rising soon after. In the dark, a faint glow to the east, we unloaded the boats at the Hume Weir boat ramp. By daybreak, Chris and I were on the water, with plenty of water and sun gear on, and a couple of photos, we caught the swift current carrying us to our first stop, Albury. With the fast current at the weir, our plan was to do 31km in one go. Paul, Tony, Tiy, Brian and Roberta packed camp, loaded the boats and got going a couple of hours after Chris and I. What can I say?! it was damn awesome to be on the mighty Murray, squarking cockatoos, kangaroos hidden behind the huge gum trees and willows shading the relatively clear flowing water in the warm morning sun. This is so Australian. This is what it’s all about. I’m loving it! With an average flow of 4.5km/hr, finally getting underway at 7.20am, Chris and I met up with Roberta and Brian at the boat ramp in west Albury in good time of 4.5 hours. First day done. Wooohoo! I was very glad to beat the heat! We sat drinking tea (me in my kayak) waiting for the boat crew to arrive with my wheelchair and lifting frame. Paul had a minor issue with reeds clogging the prop, soon sorting it with the help of Tony and Tiy in the support boat. Without anywhere to park the boats over night or campsites in Albury, we decided to have the boats head to our second night camp site, Richardson’s Bend where they will stay for two nights. Chris and I loaded our kayaks onto Brian and Roberta’s 4wd and headed there. 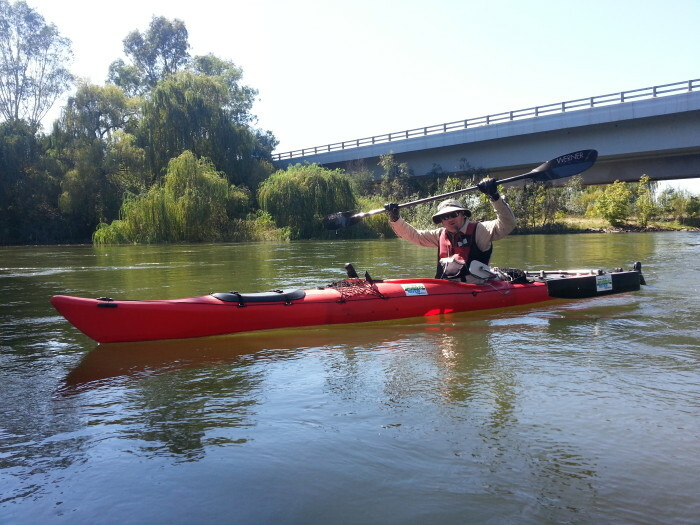 Chris and I will go back to Albury tomorrow morning and continue the paddle finishing at Richardson’s Bend. At lunch, to Tony and Tiy’s surprise, the tinnie being towed behind the support boat had 50 litres of water in it! Tiy thought it looked a little low. It’s a bit of a concern considering they are meant to float and not be a submarine. Unable to find any holes, figuring the cover could have been dragging in the water a little collecting water filling the boat, we decided not to put the cover on and see what happens. So far so good, but further investigations tomorrow. Oh yeh, a broken prop too. I’m feeling good, it was an easy day with 31 km’s done. Only 2,194 km to go. Brilliant effort Dave and team! Wow impressive start Dave. That’s a fast flow. Sounds like you are doing well.! 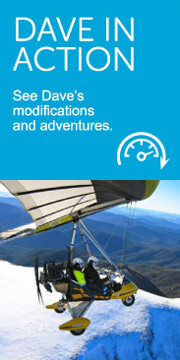 Good to hear that you are trying some thing different safe travellx. 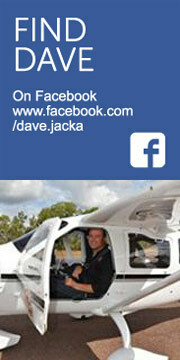 G’day Dave, by now you will have the company of my brother Trevor on your adventure. I’ll be following this closely mate because I reckon you have the frame of mind more people need. If I can join you guys, if you need support on the water in the coming weeks just sing out or get Trev to, I’m about to get my boat on the water and I’d be more than happy and honoured to meet up somewhere, offer support over the lake Alexandrina down this end. I’m also a coach with the Ice Factor program working with school kids building up an ice hockey team for each school. If it’s ok with you I’d like to use you as an example of how you are only limited by attitude. Awesome stuff mate, you’re an inspiration. Enjoy your trip bud. Hi Dean, thanks for your message and I appreciate you following. Of course, I’d be more than happy for use to use me as an example. I am in the need of someone helping to help on the support boat from late April to mid/late May. If you would be interested in helping out let me know. Sorry for the delay mate, I haven’t checked the blog for while. I’d be glad to help on the boat mate for sure, you let me know where you want me to join you and what you want me doing. I’m fairly flexible with time and all as long as I have a bit of notice to plan, I’m able to do pretty much anything to help mate. Let me know bud and I’ll plan, cheers and keep up the good work ?